We are pleased to announce Colie’s Closet as the organization awarded our 2013 Beacon of Hope Grant. 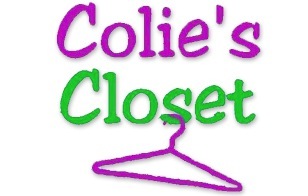 Colie’s Closet was founded in Boulder, CO, in 2004, by a 13-year-old girl named Jenna Machado, in memory of her cousin Nicole “Colie” Michalski, who had taken her own life a few months earlier at the age of 20. Jenna originally started Colie’s Closet simply as a community-service project with a modest plan to hold used-clothing sales to raise money for education about suicide prevention and treatment of depression. Since its founding, however, Colie’s Closet has grown into a peer-education organization that sends high-school volunteers into middle-school and high-school classes in the Boulder area to talk about teen depression and suicide. Last year, 23 student volunteers for Colie’s Closet spoke to 1,750 students in 66 classroom presentations, as well as speaking and providing support at a number of other suicide-prevention events. Colie’s Closet’s mission and programming complement that of the Dave Nee Foundation. In particular, the peer-education work that Colie’s Closet is doing with middle- and high-school students parallels the work that the Dave Nee Foundation does with law students through the Uncommon Counsel program. The Dave Nee Foundation congratulates Colie’s Closet for this grant award.